GENERAL DIRECTIONS: BLEND PACKAGE WITH 2 CUPS SOUR CREAM UNTIL SMOOTH. REFRIGERATE FOR 1 HOUR FOR SPICES TO BLEND. 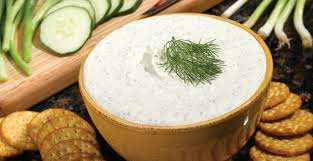 NOTE: YOGURT OR COTTAGE CHEESE THAT HAS BEEN WHIPPED IN A BLENDER MAY BE SUBSTITUTED OR USE 1 CUP MAYONNAISE AND 1 CUP SOUR CREAM FOR A RICHER FLAVOR. YIELD 2 CUPS. 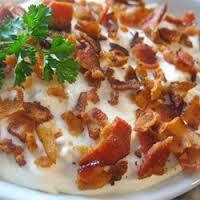 This Dip is a great dip for those who love bacon and garlic! Just add sour cream. PROTEIN), GARLIC VEGETABLE SEASONING (WHEY, DEHYDRATED GARLIC, SALT, SUGAR, MODIFIED FOOD STARCH, HYDROLYZED SOY PROTEIN, AUTOLYZED YEAST EXTRACT, MONO DIGLYCERIDE, NATURAL FLAVOR, LESS THAN 2% TRICALCIUM PHOSPHATE ADDED TO PREVENT CAKING), ONION FLAKES, SEASONED SALT (SALT, ONION POWDER, GARLIC, TURMERIC, PAPRIKA), GARLIC AND CELERY SEED. 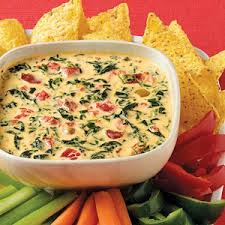 The Dip is a fantastic bacon and spinach dip perfect for those back yard outings. Easy to make just add sour cream. INGREDIENTS: INGREDIENTS: SPINACH FLAKES, ONION FLAKES AND CHEDDAR CHEESE POWDER (((WHEY, DEHYDRATED CHEDDAR, ROMANO AND PARMESAN CHEESES ((WHEY, MALTODEXTRIN, CHEDDAR AND ROMANO CHEESES (PASTEURIZED CULTURED MILK, ENZYMES, CULTURES, SALT), NATURAL PARMESAN AND ROMANO FLAVORS, PARTIALLY HYDROGENATED SOYBEAN OIL, REDUCED LACTOSE WHEY, SALT, SODIUM PHOSPHATE, MILK, DISODIUM PHOSPHATE, CREAM, CULTURES, ENZYMES, CITRIC ACID, LACTIC ACID, YELLOW #5 AND #6)), BUTTERMILK, SALT, NONFAT DRY MILK, DEHYDRATED ONION, LACTIC ACID))) AND IMITATION BACON FLAVORED CHIPLETS (TEXTURED VEGETABLE PROTEIN (SOY FLOUR, CARAMEL COLOR, RED3), SOYBEAN OIL, SALT, NATURAL FLAVORING,HYDROLYZED CORN-SOY-WHEAT PROTEIN). 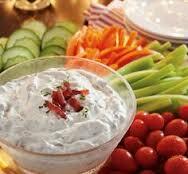 This dip mix is a delicious bacon vegetable dip perfect for any get together. Easy to make just add sour cream. INGREDIENTS: DIP BLEND ((CORN STARCH, DEHYDRATED VEGETABLES (ONION, BELL PEPPERS, GARLIC), SALT, NATURAL FLAVOR, SUGAR, AUTOLYZED YEAST EXTRACT,SPICE, DISODIUM INOSINATE AND GUANYLATE, AND LESS THAN 2% SILICON DIOXIDE ADDED TO PREVENT CAKING)), IMITATION BACON FLAVORED CHIPLETS (TEXTURED VEGETABLE PROTEIN (SOY FLOUR, CARAMEL COLOR, RED3), SOYBEAN OIL, SALT, NATURAL FLAVORING,HYDROLYZED CORN-SOY-WHEAT PROTEIN) AND VEGETABLE BLEND (CARROT, ONION, TOMATO, PEAS, CELERY, GREEN BELL PEPPER, GREEN BEANS, PARSLEY). A bacon lovers delight! Quick and easy to prepare, just add sour cream. INGREDIENTS: DIP BLEND ((CORN STARCH, DEHYDRATED VEGETABLES (ONION, BELL PEPPERS, GARLIC), SALT, NATURAL FLAVOR, SUGAR, AUTOLYZED YEAST EXTRACT,SPICE, DISODIUM INOSINATE AND GUANYLATE, AND LESS THAN 2% SILICON DIOXIDE ADDED TO PREVENT CAKING)) AND BACON FLAVORED CHIPLETS (TEXTURED VEGETABLE PROTEIN (SOY FLOUR, CARAMEL COLOR, RED3), SOYBEAN OIL, SALT, NATURAL FLAVORING, HYDROLYZED CORN-SOY-WHEAT PROTEIN). CONTAINS SOY & WHEAT INGREDIENTS. Bloody Mary dip mix is perfect for any get together. 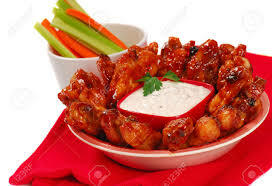 With the perfect amount of bite to it and its intense flavor it keeps you wanting more!! Easy to make just add sour cream. 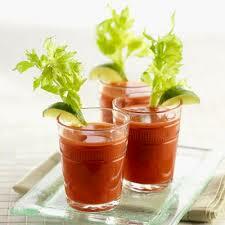 SOAK CHERRY TOMATOES IN VODKA AND LET PEOPLE DIP THE CHERRY TOMATOES IN THE DRY DIP FOR A GREAT ALTERNATIVE. Also works great as a seasoning for cocktails. NATURAL FLAVOR, AND SULFITING AGENTS), AND SILICON DIOXIDE)) AND VINEGAR POWDER (MALTODEXTRIN, WHITE DISTILLED VINEGAR, MODIFIED CORN STARCH (WAXY MAIZE)). 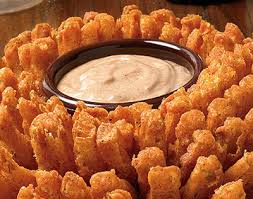 Blooming Onion Dip mix is perfect for any occasion, but don't be fooled by its name. Try to flavor your life up with using this dip mix on crackers, chips, veggies or onion rings. Easy to make just add sour cream. 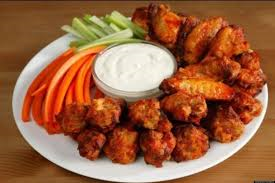 INGREDIENTS: CHOPPED ONIONS, DIP BLEND ((CORN STARCH, DEHYDRATED VEGETABLES (ONION, BELL PEPPERS, GARLIC), SALT, NATURAL FLAVOR, SUGAR, AUTOLYZED YEAST EXTRACT,SPICE, DISODIUM INOSINATE AND GUANYLATE, AND LESS THAN 2% SILICON DIOXIDE ADDED TO PREVENT CAKING)) AND PAPRIKA. Nobody can get enough of this amazingly, full-flavored BLT dip. Your friends and family will always look forward to coming to your house to eat this delicious snack and it's easy to make, just add sour cream. INGREDIENTS: DIP BLEND ((CORN STARCH, DEHYDRATED VEGETABLES (ONION, BELL PEPPERS, GARLIC), SALT, NATURAL FLAVOR, SUGAR, AUTOLYZED YEAST EXTRACT,SPICE, DISODIUM INOSINATE AND GUANYLATE, AND LESS THAN 2% SILICON DIOXIDE ADDED TO PREVENT CAKING)), TOMATO POWDER, AND IMITATION BACON FLAVORED CHIPLETS ((TEXTURED VEGETABLE PROTEIN (SOY FLOUR, CARAMEL COLOR, RED3), SOYBEAN OIL, SALT, NATURAL FLAVORING,HYDROLYZED CORNSOY-WHEAT PROTEIN)). 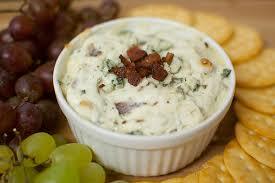 Blue Cheesy Bacon dip combines two fantastic flavors, blue cheese and bacon for an amazing taste. Easy to make just add sour cream. INGREDIENTS: BLUE CHEESE POWDER ((BLUE CHEESE (PASTEURIZED MILK, SALT, CHEESE CULTURES, ENZYMES) CONTAINS LESS THAN 2% SILICON DIOXIDE AS AN ANTI-CAKING AGENT AND LESS THAN 2% DISODIUM PHOSPHATE, SODIUM CASEINATE AS PROCESSING AIDS)), BACON FLAVORED CHIPLETS (TEXTURED VEGETABLE PROTEIN (SOY FLOUR, CARAMEL COLOR, RED 3), SOYBEAN OIL, SALT, NATURAL FLAVORING,HYDROLYZED CORN-SOY-WHEAT PROTEIN), ONIONS, SALT, GARLIC AND PARSLEY. 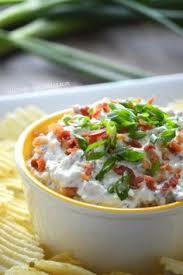 Buffalo Ranch dip is perfect for any game night get together. Easy to make just add sour cream. 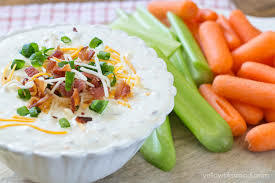 INGREDIENTS: DIP BLEND ((CORN STARCH, DEHYDRATED VEGETABLES (ONION, BELL PEPPERS, GARLIC), SALT, NATURAL FLAVOR, SUGAR, AUTOLYZED YEAST EXTRACT,SPICE, DISODIUM INOSINATE AND GUANYLATE, AND LESS THAN 2% SILICON DIOXIDE ADDED TO PREVENT CAKING)), BLUE CHEESE POWDER ((BLUE CHEESE (PASTEURIZED MILK, SALT, CHEESE CULTURES, ENZYMES) CONTAINS LESS THAN 2% SILICON DIOXIDE AS AN ANTI-CAKING AGENT AND LESS THAN 2% DISODIUM PHOSPHATE, SODIUM CASEINATE AS PROCESSING AIDS)), DRIED ONIONS, JALAPENO BLEND ((DEHYDRATED VEGETABLES (JALAPENO, BELL PEPPERS, ONION, GARLIC, HORSERADISH), SALT, HYDROLYZED SOY PROTEIN, SPICE, PAPRIKA, NATURAL AND ARTIFICIAL FLAVOR, DISODIUM INOSINATE AND GUANYLATE, EXTRACTIVE OF PAPRIKA)), PAPRIKA, SALT, GARLIC, PARSLEY, AND CAYENNE PEPPER. WHEY, SALT, SODIUM PHOSPHATE, MILK, DISODIUM PHOSPHATE, CREAM, CULTURES, ENZYMES, CITRIC ACID, LACTIC ACID, YELLOW #5 AND #6)) BUTTERMILK, SALT, NONFAT DRY MILK, DEHYDRATED ONION, LACTIC ACID))), IMITATION BACON FLAVORED CHIPLETS (TEXTURED VEGETABLE PROTEIN (SOY FLOUR, CARAMEL COLOR, RED3), SOYBEAN OIL, SALT, NATURAL FLAVORING,HYDROLYZED CORN-SOY-WHEAT PROTEIN) DRIED ONIONS, DRIED RED BELL PEPPERS, GARLIC, YEAST EXTRACT, AND NATURAL FLAVOR. 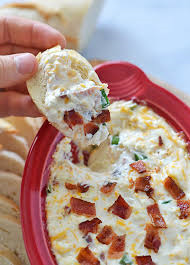 We threw cheese and bacon flavors together to create a splendid dip that is fantastic for any occasion. 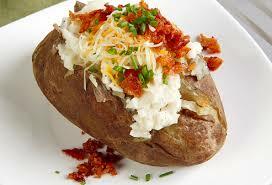 It is also easy to make on short notice, just add sour cream. INGREDIENTS: CHEDDAR CHEESE POWDER (((WHEY, DEHYDRATED CHEDDAR, ROMANO AND PARMESAN CHEESES ((WHEY, MALTODEXTRIN, CHEDDAR AND ROMANO CHEESES (PASTEURIZED CULTURED MILK, ENZYMES, CULTURES, SALT), NATURAL PARMESAN AND ROMANO FLAVORS, PARTIALLY HYDROGENATED SOYBEAN OIL, REDUCED LACTOSE WHEY, SALT, SODIUM PHOSPHATE, MILK, DISODIUM PHOSPHATE, CREAM, CULTURES, ENZYMES, CITRIC ACID, LACTIC ACID, YELLOW #5 AND #6)) BUTTERMILK, SALT, NONFAT DRY MILK, DEHYDRATED ONION, LACTIC ACID))), IMITATION BACON FLAVORED CHIPLETS (TEXTURED VEGETABLE PROTEIN (SOY FLOUR, CARAMEL COLOR, RED3), SOYBEAN OIL, SALT, NATURAL FLAVORING,HYDROLYZED CORN-SOY-WHEAT PROTEIN) AND ONIONS. Nobody can get enough of this amazingly, full-flavored vegetable dip. Your friends and family will always look forward to coming to your house to eat this delicious snack and it's easy to make, just add sour cream. 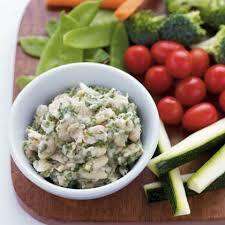 Country Herb dip mix is perfect for any occasion. This mix has a great blend of flavors that you're sure to love. Easy to make just add sour cream. 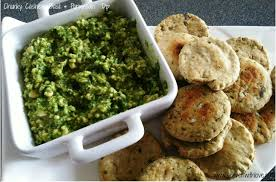 INGREDIENTS: ONIONS, PARSLEY, CELERY SEED, GARLIC AND SEASONED SALT (SALT, ONION POWDER, GARLIC, TURMERIC, PAPRIKA). This fresh and crisp Crab dip is perfect for anyone with a seafood craving. It's wonderful flavor has it tasting like it's straight from the sea. Easy to make just add sour cream. Just add sour cream and soon you will have a mouth watering cracked pepper and parmesan veg dip!! This incredible flavor will definitely have you wanting more. Ingredients: Parmesan / Romano cheese (made from cultured Part skim and whole milk, salt, AND enzymes. micro crystalline cellulose used for anti-caking), dip blend ((corn starch, dehydrated vegetables (onion, bell peppers, garlic), salt, natural flavor, sugar, autolyzed yeast extract, spice, disodium inosinate and guanylate, and less than 2% silicon dioxide added to prevent caking)) and black pepper. 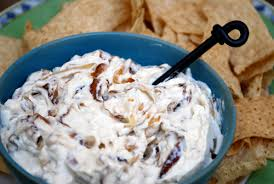 Cracked Pepper Ranch dip mix is great for any kind of get together. A perfect mix of ranch and pepper flavors. Easy to make just add sour cream. 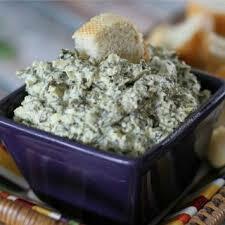 Creamy Spinach with Roasted Garlic dip mix is perfect for the game day. A great mix of fresh, creamy spinach and perfectly roasted garlic flavor will keep your friends and family not caring what the score is. Easy to make just add sour cream. DISODIUM PHOSPHATE, CREAM, CULTURES, ENZYMES, CITRIC ACID, LACTIC ACID, YELLOW #5 AND #6)) BUTTERMILK, SALT, NONFAT DRY MILK, DEHYDRATED ONION, LACTIC ACID))) AND GARLIC. Just add sour cream for a great tasting dip! EXTRACTIVE AND LESS THAN 2% SILICON DIOXIDE ADDED TO PREVENT CAKING AND CITRIC ACID. 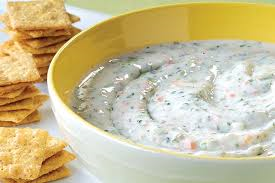 Dilly Cucumber dip mix is a refreshing addition to any party. Easy to make just add sour cream. 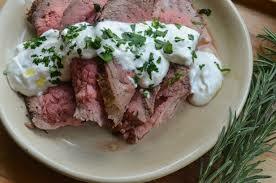 INGREDIENTS: DILL SEASONING (SALT, DEXTROSE, DEHYDRATED ONION, MALTODEXTRIN, PARSLEY, SUGAR, HYDROLYZED SOY PROTEIN, DILLWEED, NATURAL FLAVOR, DISODIUM INOSINATE AND DISODIUM GUANYLATE, MALIC ACID, SPICE EXTRACTIVE AND LESS THAN 2% SILICON DIOXIDE ADDED TO PREVENT CAKING) AND NATURAL FLAVORING. 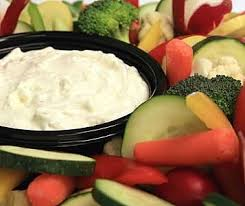 Dilly Ranch dip mix goes great with fresh vegetables or baked potatoes. It's explosive flavors make for a constant mouthwatering effect. Easy to make just add sour cream. 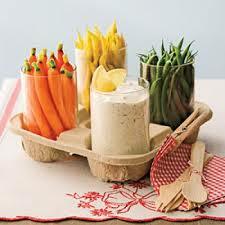 INGREDIENTS: DIP BLEND ((CORN STARCH, DEHYDRATED VEGETABLES (ONION, BELL PEPPERS, GARLIC), SALT, NATURAL FLAVOR, SUGAR, AUTOLYZED YEAST EXTRACT,SPICE, DISODIUM INOSINATE AND GUANYLATE, AND LESS THAN 2% SILICON DIOXIDE ADDED TO PREVENT CAKING)), AND DILL SEASONING (SALT, DEXTROSE, DEHYDRATED ONION, MALTODEXTRIN, PARSLEY, SUGAR, HYDROLYZED SOY PROTEIN, DILLWEED, NATURAL FLAVOR, DISODIUM INOSINATE AND DISODIUM GUANYLATE, MALIC ACID, SPICE EXTRACTIVE AND LESS THAN 2% SILICON DIOXIDE ADDED TO PREVENT CAKING). 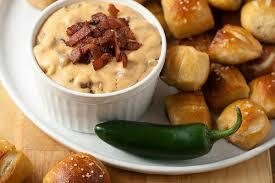 Fiery Smoked Chipotle dip mix is a wonderful smokey addition to any gathering. It has just the right kick that you won't be able to get enough of. Easy to make just add sour cream. INGREDIENTS: JALAPENO BLEND ((DEHYDRATED VEGETABLES (JALAPENO, BELL PEPPERS, ONION, GARLIC, HORSERADISH), SALT, HYDROLYZED SOY PROTEIN, SPICE, PAPRIKA, NATURAL AND ARTIFICIAL FLAVOR, DISODIUM INOSINATE AND GUANYLATE, EXTRACTIVE OF PAPRIKA)), VEGETABLE BLEND (CARROT, ONION, TOMATO, PEAS, CELERY, GREEN BELL PEPPER, GREEN BEANS, PARSLEY) AND NATURAL AND ARTIFICIAL FLAVORS. 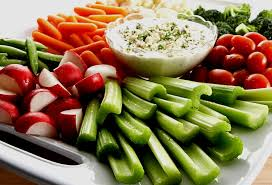 Garden Fest dip mix is fantastic with fresh vegetables, baked potatoes or just crackers and chips. Perfect when the situation arises and you need a quick, delicious snack-all you do is add sour cream! INGREDIENTS: DIP BLEND ((CORN STARCH, DEHYDRATED VEGETABLES (ONION, BELL PEPPERS, GARLIC), SALT, NATURAL FLAVOR, SUGAR, AUTOLYZED YEAST EXTRACT,SPICE, DISODIUM INOSINATE AND GUANYLATE, AND LESS THAN 2% SILICON DIOXIDE ADDED TO PREVENT CAKING)) AND VEGETABLE BLEND (CARROT, ONION, TOMATO, PEAS, CELERY, GREEN BELL PEPPER, GREEN BEANS, PARSLEY). INGREDIENTS: VEGETABLE BLEND (CARROT, ONION, TOMATO, PEAS, CELERY, GREEN BELL PEPPER, GREEN BEANS, PARSLEY) AND GARLIC VEGETABLE SEASONING (WHEY, DEHYDRATED GARLIC, SALT, SUGAR, MODIFIED FOOD STARCH, HYDROLYZED SOY PROTEIN, AUTOLYZED YEAST EXTRACT, MONO DIGLYCERIDE, NATURAL FLAVOR, LESS THAN 2% TRICALCIUM PHOSPHATE ADDED TO PREVENT CAKING). 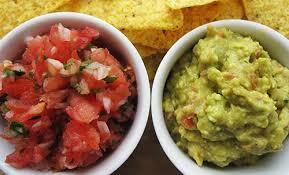 Every chip deserves a quality Guacamole Dip and when you add a Salsa Dip the resulting taste is fantastic. These dips are simple to make you just supply the avacado and tomatoes. Our mixes will make the whole thing come together into a mouthwatering combination. This is the dip mix only and does not include bowl. 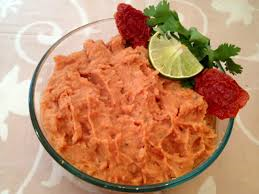 DIRECTIONS FOR GUACAMOLE DIP: PEEL AND MASH 2 RIPE AVOCADOS IN A SMALL MIXING BOWL, ADD THE ENCLOSED PACKET, 1 1/2 TEASPOONS LEMON JUICE AND 1 DICED TOMATO. LET SET FOR 15 MINUTES FOR SEASONINGS TO BLEND. INGREDIENTS: DRIED ONION FLAKES, DRIED BELL PEPPER FLAKES, GRANULATED GARLIC, DRIED CILANTRO, TOMATO POWDER, DRIED JALAPENO AND SALT. 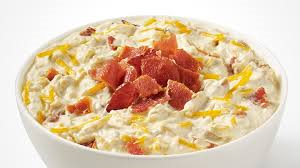 Try something different, try our Loaded Baked Potato dip mix. It's flavors jump out at you and you won't be able to get enough!!! Dip that tastes just like a real loaded baked potato and it's easy to make just add sour cream. 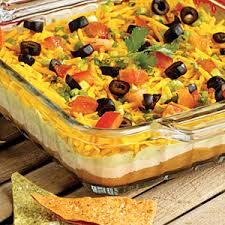 Turn that get together into a FIESTA with our Mexican dip mix! It is a delicious addition with exploding flavors that everyone will love. Easy to make just add sour cream. INGREDIENTS: CHOPPED ONIONS, CHILI POWDER BLEND (CHILI PEPPER, CUMIN, SALT, OREGANO, NATURAL FLAVORS, PEPPER, LESS THAN 2% SILICON DIOXIDE ADDED TO PREVENT CAKING), RED PEPPER, CUMIN, GARLIC, AND OREGANO. Parmesan Dill dip mix has crisp flavors and is fantastic either as a dip or a topping for baked potatoes. Easy to make just add sour cream. INGREDIENTS: PARMESAN/ROMANO CHEESE (CULTURED PASTEURIZED PART SKIM AND WHOLE MILK, SALT, AND ENZYMES. MICRO CRYSTALLINE CELLULOSE USED FOR ANTI-CAKING) AND DILL SEASONING (SALT, DEXTROSE, DEHYDRATED ONION, MALTODEXTRIN, PARSLEY, SUGAR, HYDROLYZED SOY PROTEIN, DILLWEED, NATURAL FLAVOR, DISODIUM INOSINATE AND DISODIUM GUANYLATE, MALIC ACID, SPICE EXTRACTIVE AND LESS THAN 2% SILICON DIOXIDE ADDED TO PREVENT CAKING). 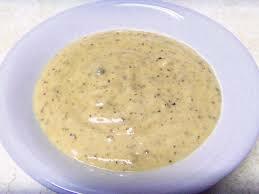 Parmesan Herb dip mix is fantastic either as a dip or topping for baked potatoes. Easy to make just add sour cream. 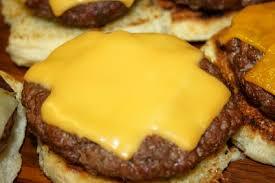 INGREDIENTS: PARMESAN/ROMANO CHEESE (CULTURED PASTEURIZED PART SKIM AND WHOLE MILK, SALT , AND ENZYMES. MICRO CRYSTALLINE CELLULOSE USED FOR ANTI-CAKING), ONIONS, PARSLEY, CELERY SEED, GARLIC AND SEASONED SALT (SALT, ONION POWDER, GARLIC, TURMERIC, PAPRIKA). 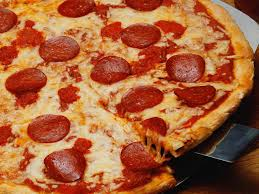 Everybody loves pizza!! Our pizza dip mix is a fantastic after school snack that will have the kids running home after school. Easy to make just add sour cream. 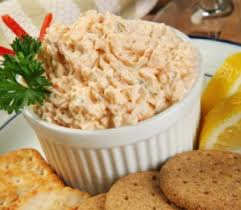 Roasted Garlic and Red Bell Pepper dip mix is a fantastic addition to any occasion. Full of garlic and roasted pepper flavors! Easy to make just add sour cream. 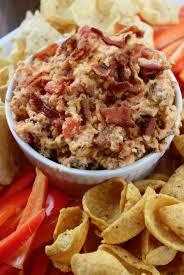 "Smokin" Pig dip mix is perfect for back yard barbeque's and get together's. Easy to make just add sour cream. INGREDIENTS: IMITATION BACON FLAVORED CHIPLETS (TEXTURED VEGETABLE PROTEIN (SOY FLOUR, CARAMEL COLOR, RED3), SOYBEAN OIL, SALT, NATURAL FLAVORING,HYDROLYZED CORN-SOY-WHEAT PROTEIN), JALAPENO BLEND ((DEHYDRATED VEGETABLES (JALAPENO, BELL PEPPERS, ONION, GARLIC, HORSERADISH), SALT, HYDROLYZED SOY PROTEIN, SPICE, PAPRIKA, NATURAL AND ARTIFICIAL FLAVOR, DISODIUM INOSINATE AND GUANYLATE, EXTRACTIVE OF PAPRIKA)), ONIONS, SEASONED SALT (SALT, ONION POWDER, GARLIC, TURMERIC, PAPRIKA), CELERY SEED AND NATURAL AND ARTIFICIAL FLAVORING. 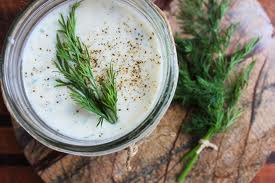 Smoky Horseradish dip has a great smoky flavor and is a wonderful addition to any occasion. Easy to make just add sour cream. TURMERIC, PAPRIKA), NATURAL AND ARTIFICIAL FLAVOR. This is our number #1 selling dip mix!! 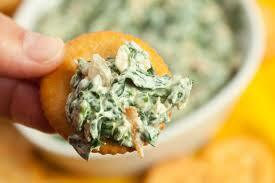 Our Spinach dip mix is fantastic as a game day addition full of flavor! Easy to make just add sour cream. 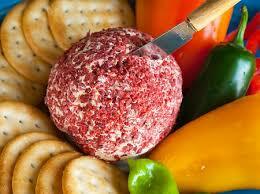 Sun Dried Tomato Herb dip mix is perfect for entertaining guests. Easy to make just add sour cream. 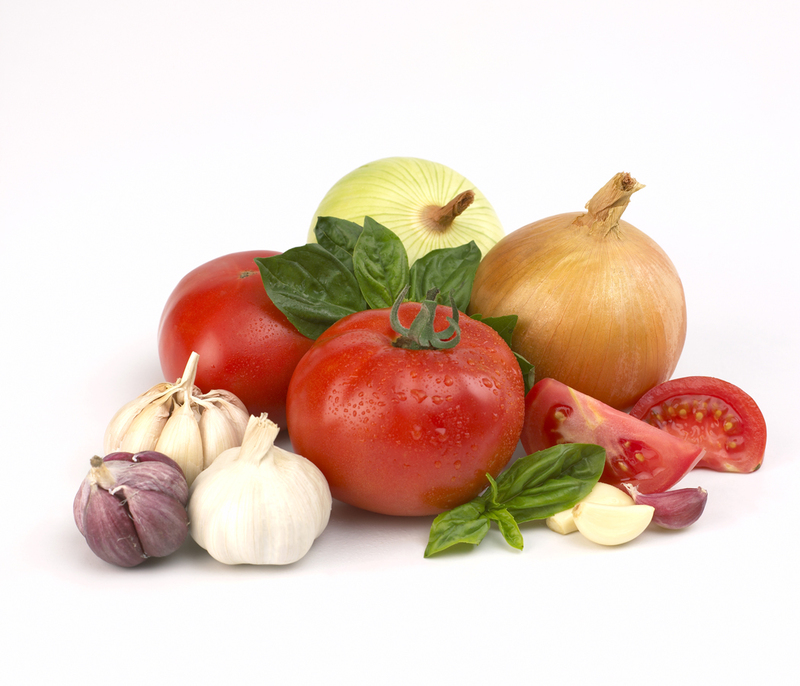 INGREDIENTS: DIP BLEND ((CORN STARCH, DEHYDRATED VEGETABLES (ONION, BELL PEPPERS, GARLIC), SALT, NATURAL FLAVOR, SUGAR, AUTOLYZED YEAST EXTRACT,SPICE, DISODIUM INOSINATE AND GUANYLATE, AND LESS THAN 2% SILICON DIOXIDE ADDED TO PREVENT CAKING)), ONIONS, TOMATOES, OREGANO, BASIL AND GARLIC. 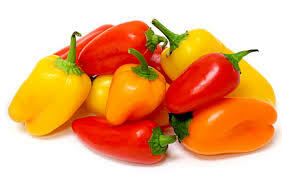 The crisp, sweet bell pepper flavor in this dip is highlighted with a little kick of jalapeno!! 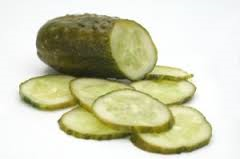 It is the perfect snack if you enjoy a little heat in your cool dip and will be the perfect addition to any occasion. Easy to make just add sour cream. Three cheeses and roasted garlic are a fantastic combination in a dip! Enjoy with veggies, pretzels, crackers or whatever else you may like! Easy to prepare, just add sour cream. INGREDIENTS: CHEDDAR CHEESE POWDER (((WHEY, DEHYDRATED CHEDDAR, ROMANO AND PARMESAN CHEESES ((WHEY, MALTODEXTRIN, CHEDDAR AND ROMANO CHEESES (PASTEURIZED CULTURED MILK, ENZYMES, CULTURES, SALT), NATURAL PARMESAN AND ROMANO FLAVORS, PARTIALLY HYDROGENATED SOYBEAN OIL, REDUCED LACTOSE WHEY, SALT, SODIUM PHOSPHATE, MILK, DISODIUM PHOSPHATE, CREAM, CULTURES, ENZYMES, CITRIC ACID, LACTIC ACID, YELLOW #5 AND #6)), BUTTERMILK, SALT, NONFAT DRY MILK, DEHYDRATED ONION, LACTIC ACID))), GARLIC, PARMESAN CHEESE ((PASTEURIZED PART SKIM MILK, SALT, ENZYMES, CULTURES) CELLULOSE POWDER TO PREVENT CAKING), AND ONIONS. CONTAINS SOY & MILK INGREDIENTS. 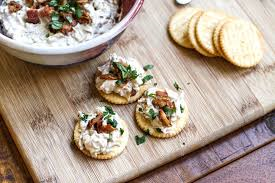 Toasted Garlic & Onion dip mix is a wonderful addition to your next get together. 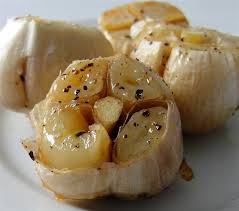 With this fabulous toasted garlic and onion flavor your family and friends won't want to leave. Easy to make just add sour cream. INGREDIENTS: ONION FLAKES, GARLIC, NATURAL FLAVOR AND SALT. INGREDIENTS: CHEDDAR CHEESE POWDER (((WHEY, DEHYDRATED CHEDDAR, ROMANO AND PARMESAN CHEESES ((WHEY, MALTODEXTRIN, CHEDDAR AND ROMANO CHEESES (PASTEURIZED CULTURED MILK, ENZYMES, CULTURES, SALT), NATURAL PARMESAN AND ROMANO FLAVORS, PARTIALLY HYDROGENATED SOYBEAN OIL, REDUCED LACTOSE WHEY, SALT, SODIUM PHOSPHATE, MILK, DISODIUM PHOSPHATE, CREAM, CULTURES, ENZYMES, CITRIC ACID, LACTIC ACID, YELLOW #5 AND #6)) BUTTERMILK, SALT, NONFAT DRY MILK, DEHYDRATED ONION, LACTIC ACID))), IMITATION BACON FLAVORED CHIPLETS (TEXTURED VEGETABLE PROTEIN (SOY FLOUR, CARAMEL COLOR, RED3), JALAPENO BLEND ((DEHYDRATED VEGETABLES (JALAPENO, BELL PEPPERS, ONION, GARLIC, HORSERADISH), SALT, HYDROLYZED SOY PROTEIN, SPICE, PAPRIKA, NATURAL AND ARTIFICIAL FLAVOR, DISODIUM INOSINATE AND GUANYLATE, EXTRACTIVE OF PAPRIKA)) AND ONIONS.